Salman Khan shared the trailer of Judwaa 2 on Twitter and wrote, "Judwaa 1 tweeting for Judwaa 2"
Varun Dhawan's Judwaa 2 trailer has left Bollywood impressed including Salman Khan. Judwaa 2 is a remake of Salman's 1997 blockbuster film Judwaa and Varun reprises the roles of Raja and Prem in the second part. Salman, 51, shared the trailer of Judwaa 2 on Twitter and wrote, "Judwaa 1 tweeting for Judwaa 2." Soon, Varun responded and wrote, "You will always be the original judwaa bhai." The Judwaa series is directed by David Dhawan, Varun's father. Karisma Kapoor and Rambha co-starred with Salman in Judwaa while Varun stars opposite Jacqueline Fernandez and Taapsee Pannu in Judwaa 2. 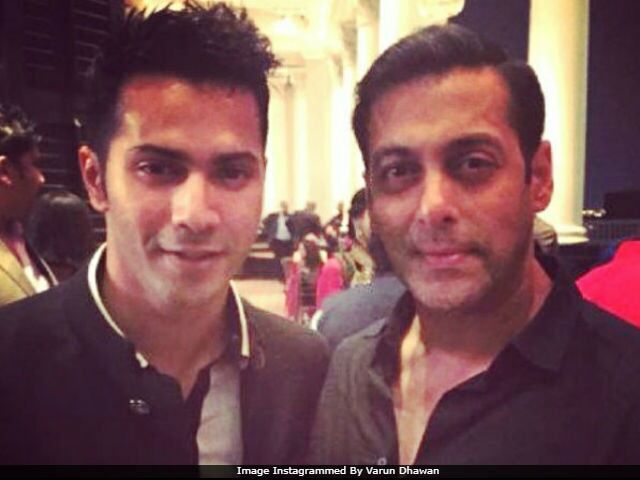 Read Salman and Varun's Twitter exchange here. "This film wouldn't be possible without Salman bhai. 20 years back he made Raja and Prem iconic, he is the original Raja/Prem and will always be the original. I hope he likes the film whenever he watches it," Varun told the press at the trailer launch. Here's the trailer of Judwaa 2. (The revamped version of the hit songs - Oonchi Hai Building and Tan Tana Tan Tan Tan Tara are also there). Before Varun started shooting for the film, the 30-year-old actor told news agency PTI, "I just remember watching Judwaa in the theatre during a special screening and meeting Salman Khan for the first time. I don't remember much as I was small." Celebrities like Ranveer Singh, Anil Kapoor and others have also tweeted about the trailer. "Isse kehte hain JUDWAAAAH," tweeted Ranveer while Anil Kapoor wrote, "You can never have "Two" much of @Varun_dvn...Or can you?! #Judwaa2 is the definition of #DoubleTrouble." Varun Dhawan's Judwaa 2 releases on September 29.